Artist Guillame Chiron combines mid-century domestic life in humorous collages. Playing with scale and context, Chiron inserts oversized humans into urban landscapes. Chiron has also published a book of 250 collages. 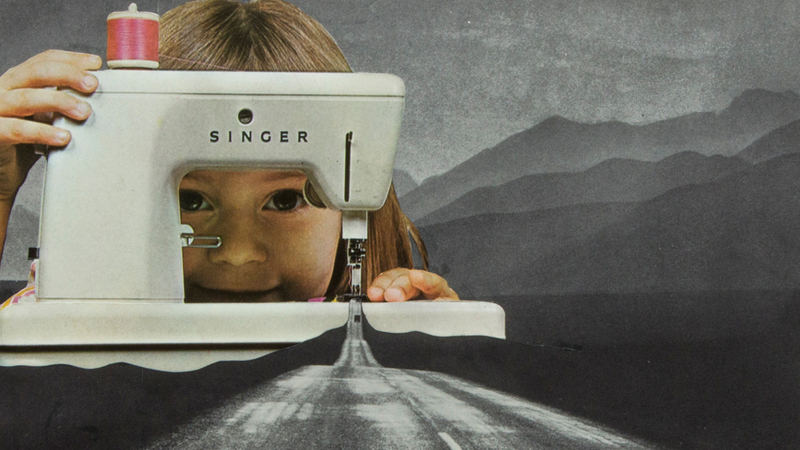 You can see more of the French artist’s collages on Tumblr and Instagram. Newer Post New York City in pastels and neon colors captured by French Photographer Ludwig Favre. Older Post The Pits is a Short Film Follows a Lonely Avocado Searching NYC for its Other Half.